Learn about the good guys! You may be surprised to learn that there are actually good bugs for your garden. In fact, there is a fairly long list of good bugs-not just honey bees. Learn why you should encourage bugs in your garden and how they can help you in the following interview with the author of Good Bugs for Your Garden, Allison Mia Starcher. What is your background and how did you learn so much about bugs? I'm self-taught mainly. When you become a gardener the first things you think about are the plants and the second is, unfortunately, what's eating them. For me the third thing was find out what eats the bad bugs. I was doing illustrations for a newsletter called the Southern California Gardener and for each issue I would draw a beneficial insect for the masthead. Each time I was assigned a bug I would research it so I could draw it properly and ended up learning enough to write a book! While closely observing my tiny subjects I began to appreciate their unique benefits and ingenious habits. Why did you decide to write Good Bugs for Your Garden? 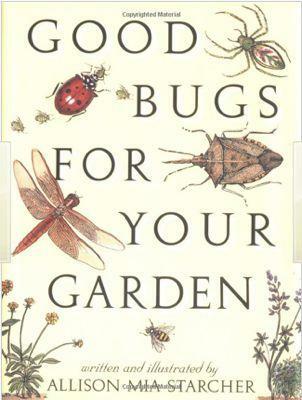 Back when I wrote it, there wasn't a book about beneficial insects written for the backyard gardener. I thought there needed to be a friendly guide to the good bugs that wasn't too scientific and complicated that illustrated our insect allies. I also really enjoy drawing insects and plants. What are the biggest misconceptions about bugs in the garden? Probably the notion that the only good bug is a dead bug--that they are all plant eaters and that a healthy garden is an insect free garden. Why would a gardener want bugs in the garden? Because a balance of diverse plant life and all types of insects is really the only way to naturally maintain a sustainable garden without pesticides. To keep the good bugs happy, they have to have a food supply and that precludes a pest-free garden. In addition we depend on insects to pollinate, break down dead flora and fauna and aerate the soil. Which bugs are the most beneficial and why? That's hard to say. I have a few favorites but it really depends what type of plants you are growing and which pests are eating them. Green lacewings are great because their larvae eat tons of aphids and other soft bodied insects-something most gardens have an abundance of. They can be purchased but you probably already have them in your garden and don't even know it because they are nocturnal. The next time you empty out an outdoor light fixture, look at the dead bugs that have accumulated-chances are there are a few green lacewings in the mix. I am also fascinated by the parasitoids-wasps and flies. How can a gardener control the bad bugs without hurting the good bugs? Let the good bugs do the work and hold off on spraying pesticides. Always use the least toxic choice, such as insecticidal soaps or horticultural oils. For caterpillars, such as tomato hornworms, I do spray a small amount of Bt on affected plants. Do you recommend purchasing beneficial insects and why? In my garden, I create an inviting atmosphere for naturally occurring beneficials. I plant plenty of native plants, wildflowers and herbs and hold off on buying insects. If you have a large garden with a particularly bad infestation, I recommend targeted release. What do you most want people to know about bugs? I'd like people to know that although some insects can be frightening and creepy, they are an important element in the garden, essential for plant reproduction and health. By learning how to properly identify the good guys you can learn to appreciate these wondrous creatures. I encourage your readers to take some time to sit in their gardens and watch the vibrant, vigorous activity that is taking place on and around their plants. No more thinking that all bugs are bad for your garden! Encourage some of the beneficial bugs and let them work for you to control the harmful ones. 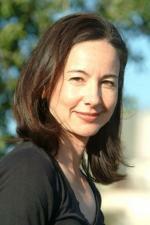 For more information on beneficial insects, check out Allison Starcher's book at Amazon.com.